Columbia University’s Mailman School of Public Health pursues an agenda of education, research and service to address the critical and complex public health issues affecting New Yorkers, the nation and the world. The Mailman School is the third largest recipient of NIH grants among schools of public health. Whether promoting the health and well-being of America’s impoverished families and children, working in resource-limited communities to improve reproductive health for women or developing models of care and treatment for HIV-infected people in northern Manhattan or Africa, the school is committed to meeting the health needs of underserved populations in all corners of the world. The curriculum combined with its internationally renowned research and training programs enables students to gain frontline knowledge, both inside and outside the classroom. 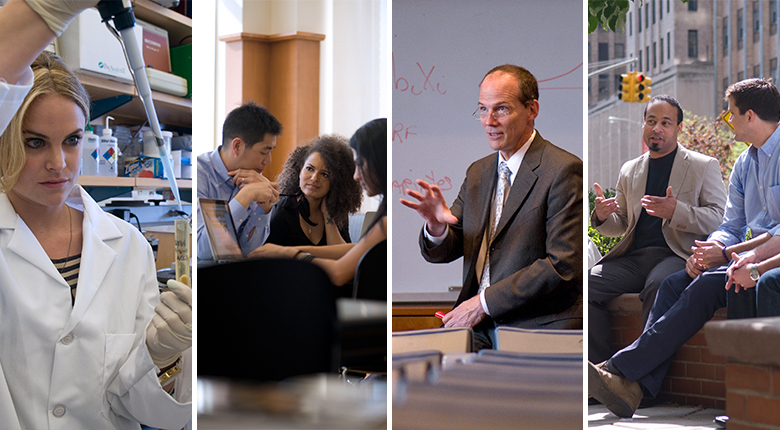 The school’s many world-renowned research centers include the International Center for AIDS Care and Treatment, the Center for Infection and Immunity and the Robert N. Butler Columbia Aging Center.